Nice post, Peter! I love how you explained what photosynthesis is and also how you explained what would happen if one of the “members” of the food web became extinct. 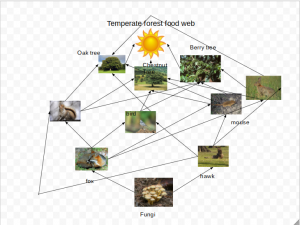 What are the reasons a food web member could die out? I Love how you explained what would happen if some one in the web died. I wonder if the temperate forest is a good place to live.